Today I am introducing a new contributor to our team: Debs who hails from Buckinghamshire, England (another Brit, but way less sarcastic to my Californian counterpart – not). She has been on many of my travel adventures and she has an amazing palate for wine as well as being an experienced traveler and adventurer visiting exotic places all over the world. You will be seeing more from her in the upcoming weeks and months as we are hoping that she becomes a regular feature with us. 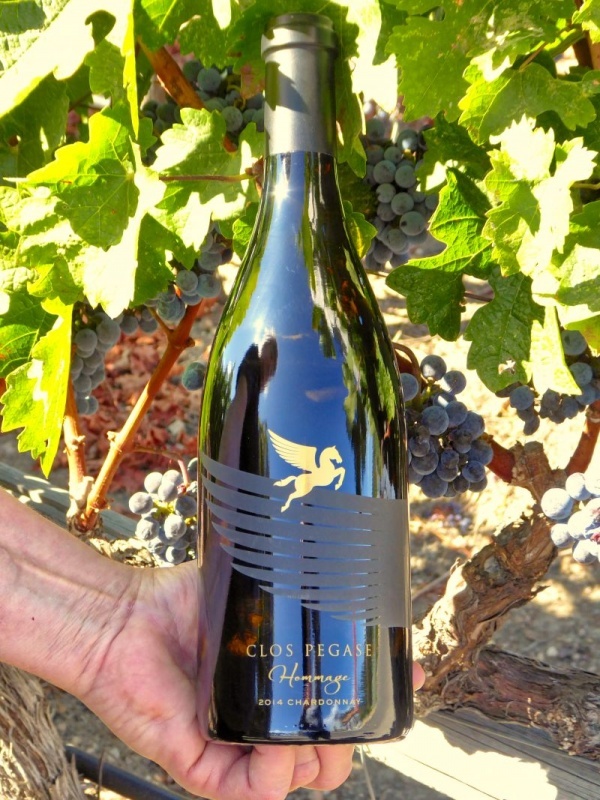 Poor Clos Pegase will never be the same after our visit! 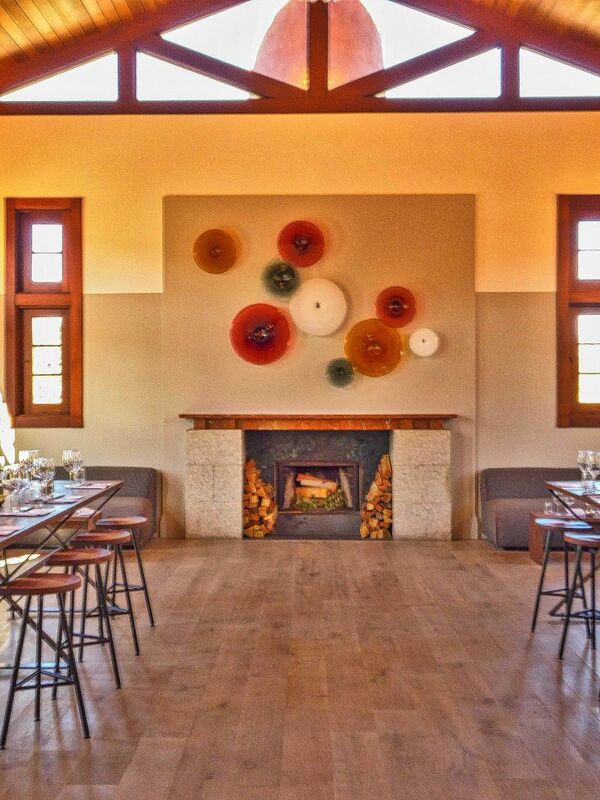 I was excited when I got the invitation to visit the beautiful Clos Pegase Winery and Estate. I had only been there once years ago and it was for one of my closest friend’s birthday bashes. I won’t say which birthday, but I will say the party was one of the most beautiful I have ever attended. The caves, the food, and the hospitality were all fantastic. Sadly, I was on medication that day and couldn’t sample the wine. Debs comments: I was lucky to be able to tag along with Napa Food and Vine to this beautiful winery. What a gorgeous place! Flashback to this visit and I couldn’t have been more impressed as I pulled up. The Estate is absolutely stunning. It sits in its own valley, surrounded by huge trees and hills. The fall colors were just starting to show. 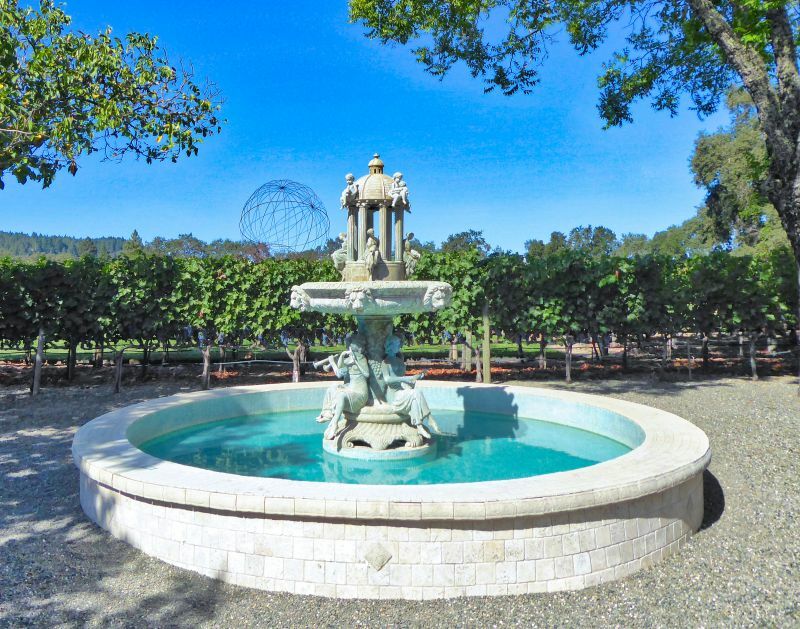 Debs comments: I was truly amazed by the beautiful architecture and stunning scenery, adorned with vines galore. 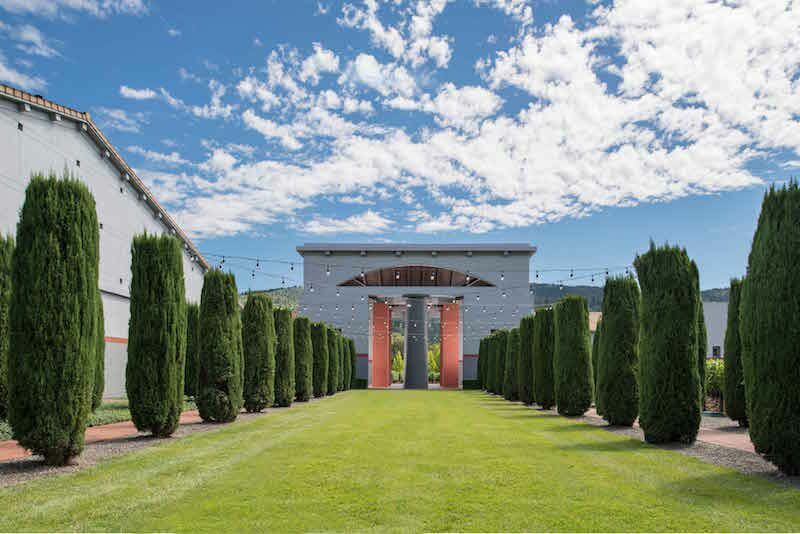 The grand entrance was breathtaking: a structure built to honour the wine within. The adornment of statues was as stunning as the entrance itself, a very ‘Roman’ feel was echoed. Our first taste of the wine at Clos Pegase was the 2016 Mitsuko’s Chardonnay ($30). I listened intently as our host explained the whole process of making this Chardonnay. In the glass though, I found it to be a nice sip, filled with butter and oak. It had medium weight in the mouth and a nice finish. The fruits in the glass were a little lacking though I did get some pear notes, overall it was good and I enjoyed what I was drinking. Note: I thought this was a cute story: The wine was named after the owner’s wife as he gifted her the vineyard in which it was grown. He presented her the dirt in a Tiffany blue jewelry box with a bow. Imagine her surprise opening it! Ha ha! Debs comments: The first tasting was a Mitsuko Chardonnay, oak on the tongue, grass and vanilla on the finish. Oaked Chardonnay is not my favorite wine, but tasting it I could imagine it would be something that people who do like this style would enjoy. My second taste was the 2016 Estate Rose ($22). I thought they did a very nice job with this wine in particular. The nose was really perfumy and its color was dark for a rosé, but the flavor was filled with flowers, lovely flavors of strawberry and a hint of cherry with good acidity. I’d love it on a really hot day in the garden. It’s light and refreshing and something to relax with. Debs comments: The second was 2016 Estate Rose, a refreshing glass for a Summers day, with notes of berries on the tongue. Moving on to our next tasting was the 2014 Mitsukos Vineyard Pinot Noir ($40). The nose on this wine was really lovely. I could smell the cherry and earth and the goodness. I found the wine to be a bit thin for my palate, but the flavors were all there. It was a little smokey, with a bit of black tea and cherry. The Red Wine Blend ($40) was probably my second favorite sip of the day. It had all of the rich dark forest fruits in the glass with nice mouthfeel and texture. I loved the notes of coffee and chocolate which added layers to the flavor. Debs comments: The Red Wine Blend was next, with wonderful smells of blackcurrant on the nose, with a warm and smooth lushness of fruits on the tongue. I really enjoyed this wine. We then found ourselves with the 2013 Cabernet Sauvignon ($55). I was surprised at how approachable this wine was to drink for its age. Although the color is dark, it drinks lighter with well-integrated tannins. It wasn’t exactly silky or sophisticated, but I feel like it would be a crowd pleaser at a party. The notes in it were blackberries, raspberries, and a bit of wood blended together to make a pleasant sip. Debs comments: For me, the 2013 Cabernet Sauvignon, had dark berries on the nose and felt like pleasant every day drinking wine. I liked that it was so easy going down and would pair well with a casual evening meal. Our last sip was their reserve 2013 Homage Cabernet Sauvignon ($155). This is their flagship and most exclusive wine that they make. Of course, it was my favorite sip of the day. My first mouthful was blackberry and cassis. Well, let’s clarify that – ripe black currants. It had a spice to it and a lot of earthiness. The tannins here were well defined giving it enough backbone for aging. Still, it can be consumed now for those who can’t wait the 5 years until it really matures. I would happily pair this with a nice big steak, or even duck. I think it would be versatile with many dishes. Debs comments: Finally, the Homage Cabernet Sauvignon had a strong aroma of cherries, was rich and velvety in the mouth and was my favorite sip of the day. A treat with any red meat or especially with a roast dinner. Delicious! When I asked about the Clos Pegase wine club, they don’t seem to have a huge social membership going. I think many of their club members live farther out so it makes it harder for them to do in person get-togethers. Still, they offer shipments 4 times a year of 4 bottles with a 20% discount plus exclusive members-only wines. You can find out more information here. 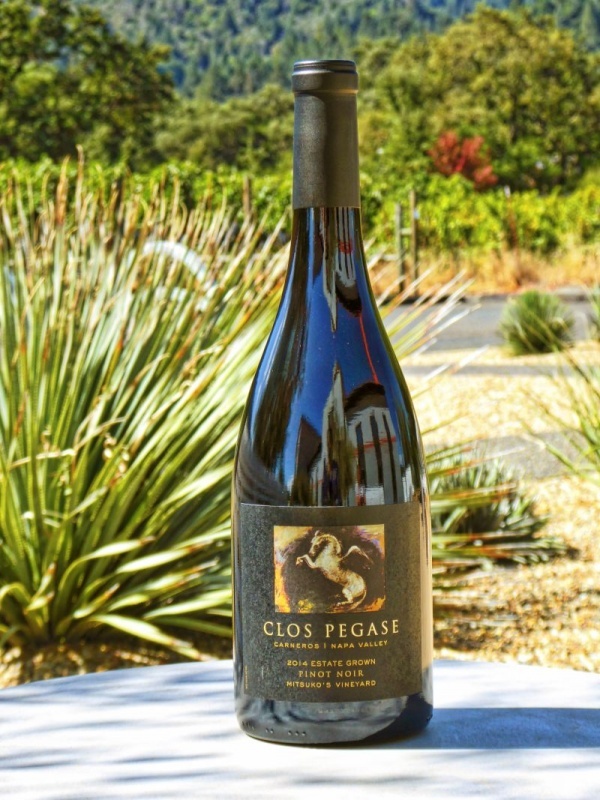 When we walked away from Clos Pegase, I still came away with happy thoughts. 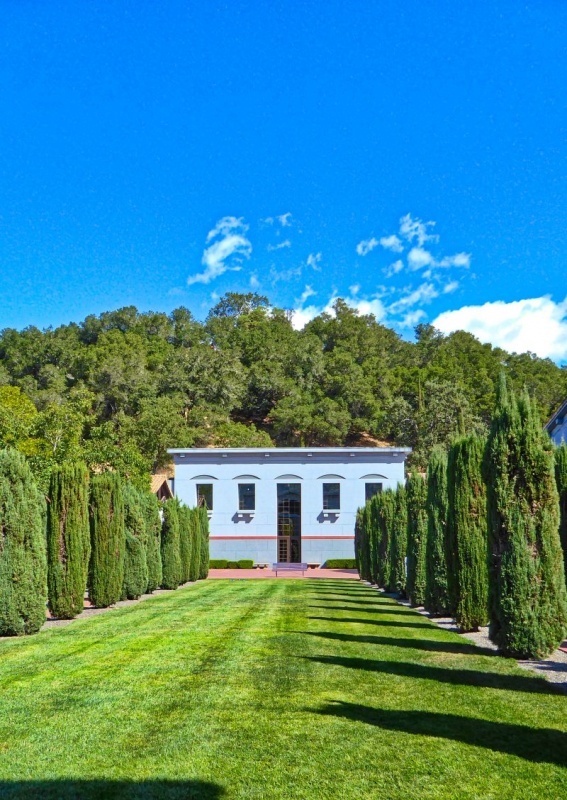 I could imagine friends doing a day in Napa here, enjoying the wines, gardens, and views in the sunshine. It’s that kind of place. I shared my time with one of my best girlfriends and I have to say, it was the wonderful experience I had hoped for. I love Clos Pegase. We haven’t been there in ages, but loved the tour into the cave and the art that is in there. Such a beautiful place. I have not seen the Hommage label before. Love it! 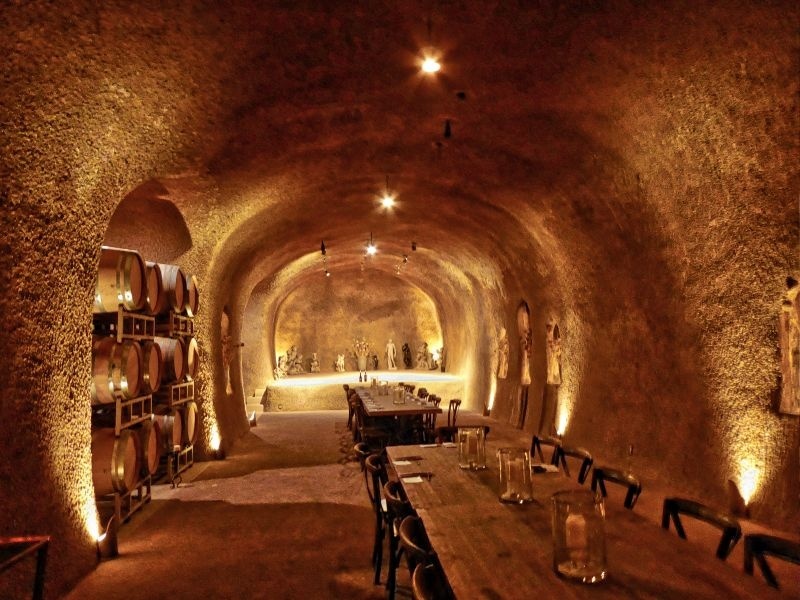 What a beautiful winery! 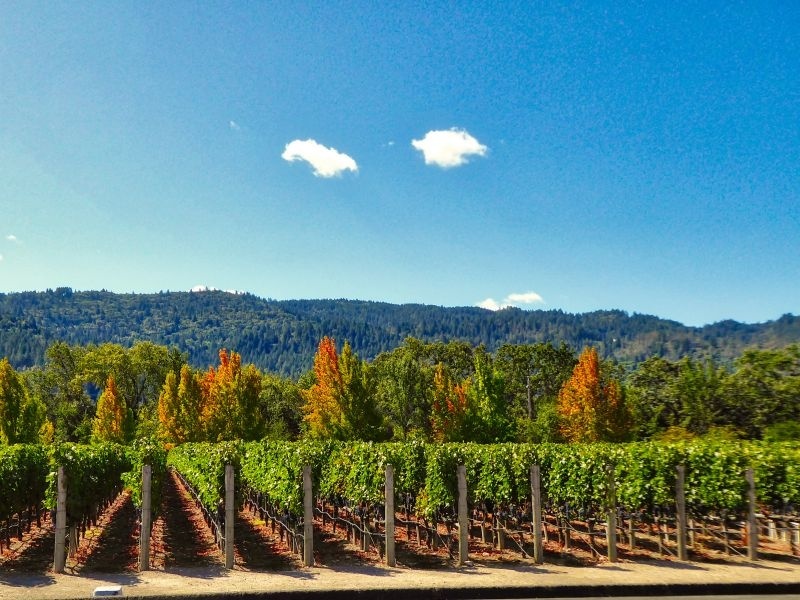 I hopefully manage to find a bottle in Florida because I don’t know if I can wait as long as my next visit to Napa!